A year ago, the thought of me writing my own plugin was … unthinkable. Today, it’s just mildly hilarious. Actually, I’ve been creating client specific plugins for nearly every site I’ve built in the past nine months or so, so maybe not all that funny. The quality started low (being honest) and is picking up steam. What I’ve built has usually been quite tailored to a client’s specific needs, and hasn’t been very portable–they’ve been so tailored to the specific client that it was hard to think of them being useful to anyone else. However, I’ve been working on a real estate site (still in development). I built a plugin for it which I thought might be worth sharing. 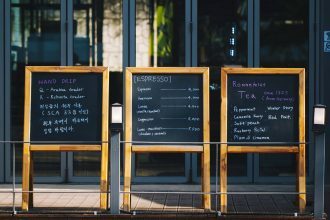 My client doesn’t need a full blown real estate listings plugin such as AgentPress Listings, but does need a way to post current listings, as well as summary information for completed sales. The current listings need to link to the main MLS listing, although that’s not required. For what I needed, AgentPress Listings was overkill–I do not want to fully duplicate the same information which is already input into the MLS, and my listings are not intended to have all of the listing information. If no MLS listing is linked (it could be on a separate MLS site or on the user’s own site), the single listing page shows whatever details the user inputs, plus the location and amount of the transaction (both optional). 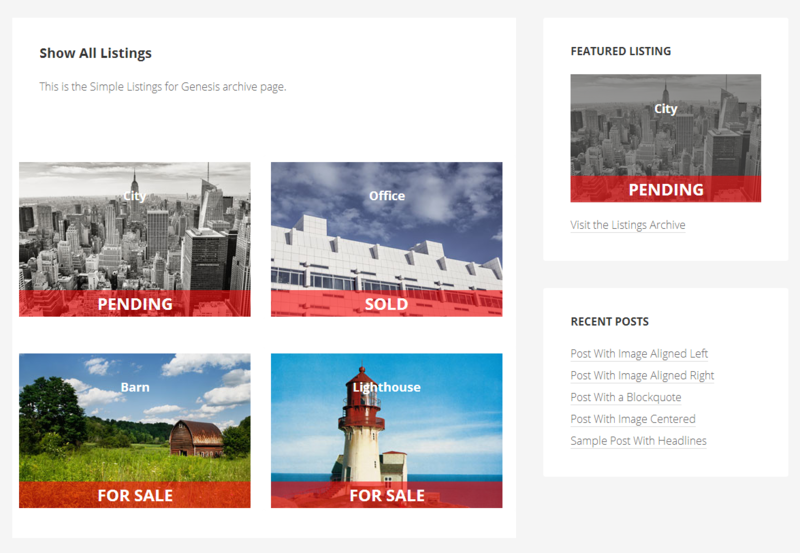 I’ve also customized the Genesis Featured Posts Widget for this to produce a Featured Listing Widget, which shows the listing thumbnail, title, status, and/or content. If the MLS field has a link, the widget links directly to that. The plugin has its own archive/taxonomy and single listing page. The page templates and the widget all require the Genesis Framework from StudioPress (affiliate link), although the site won’t break if you’re using another theme–you’ll just be on your own to create templates for those. You can see a demo of the plugin here (the client site is still in development). I’m offering Simple Listings for Genesis as a download through Github. I make no warranty claims or guarantees, other than it’s working on the sites I’ve installed it on, so caveat emptor. I do, however, hope that someone out there may find it useful. If you do use it and have suggestions or corrections to make, please do so!